Finding a local HVAC company is not the goal. 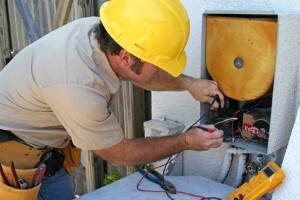 The idea is to find a team of skilled industry experts who offer full service, including maintenance plans. The reason that we are the premier heating and air conditioning company is that we provide this type of service so that you can avoid unexpected emergency repairs. That's because we genuinely care more about the well-being of our customers than keeping them in need of our repair service constantly. Your Club Membership guarantees appointments, provides valuable services and discounts on repairs. You are Guaranteed that your repair is "Fixed Right or it's FREE." Regular service of your equipment can save you thousands of dollars over the long haul in energy costs. In fact, as much as 30% per year! Additionally, regular service may extend the life of your system. Your membership may pay for itself year after year. You have become a preferred client. You can expect our highly trained and competent technicians to become completely familiar with you and your air conditioning and heating equipment. Your membership is transferrable either to the buyer of your current home or to your new home in Associated Service Centers throughout the country. Our repairs are "Fixed Right or it's FREE," if you are not 100% satisfied with our service.